It’s time to meet your Tinder date and you have everything under control and according to plan. You have your hair done right and that beautiful silk dress ready. But as soon as you put it on, the fabric is clinging to places it shouldn’t. Realization hits that you have been doomed with static cling – and this was definitely not part of the plan. Before we put you out of your misery, it is important to understand the science that’s behind this notoriously small yet annoying everyday struggle. When the climate is dry and/or there is friction between two types of fabrics, the surface of your clothes gets charged up, leading to a surplus of negative charge on the clothing. When the negative and positive charges on the clothes and your skin attract, it makes the garment stick to you in the most unsightly fashion, until the negative charges are transferred or released. Remember ever getting a shock from simply touching your cat? Well, it’s the same negative charge being passed on! Fabrics like silk, wool and flannel scarves and tights are more prone to getting a static charge. Also, when you’re doing laundry, the friction between clothes in the dryer can charge them up. Now that you know what is causing the annoying static cling, use the same science to get rid of it. 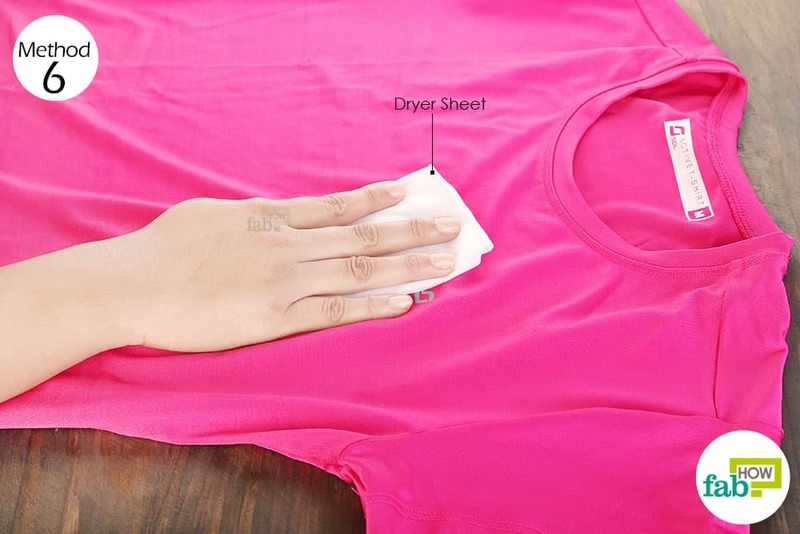 Here are seven quick and easy hacks to get rid of static cling on clothes. Any metal object can get rid of static cling on clothes almost instantly. It works by discharging the electric charges causing the static. 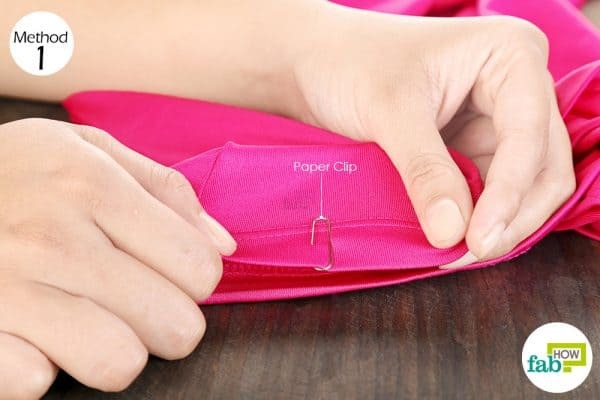 You can use a metal clip or a metal hanger for this hack. It works perfectly on silk clothes. Slide a metal paper clip over a hidden edge or seam of the garment that has taken on a static charge. This will not only get rid of the static but also prevent it from recurring. 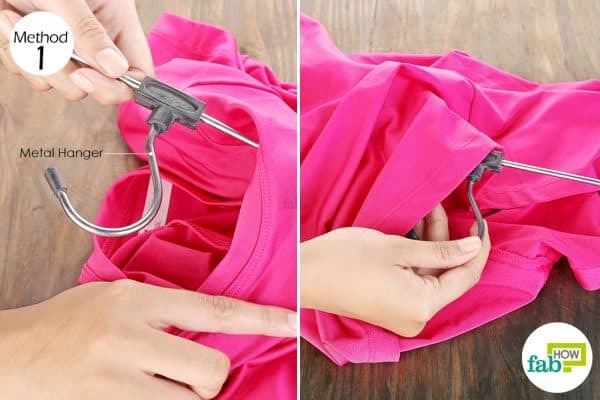 Simply run a metal hanger over or through the garment before putting it on. If you are already wearing the garment, just rub the hanger between the fabric and your skin and the static should be gone in no time. As hair spray is meant to keep your hair in place, fighting off the static too, it can be used to get rid of static cling on clothes. You can use a hair spray right before or even after putting on your shirt, pants or dress. 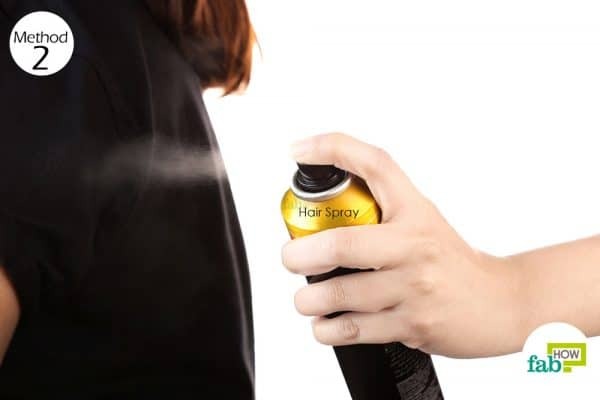 Spritz hair spray on your garment from a distance. Do not spray it too close or it might leave a spot. Also, keep your eyes shut when spraying the front of the garment to prevent the spray from entering and irritating your eyes. Static cling can be a constant nuisance if you live in dry weather conditions. Prepare and keep your DIY anti-static spray ready to counter this everyday problem. You can either use diluted fabric softener or make a spray with witch hazel and lavender essential oil (for fragrance). Pour ¼ cup of water into a spray bottle. Add ½ tablespoon of fabric softener to it. Secure the nozzle and shake it well. 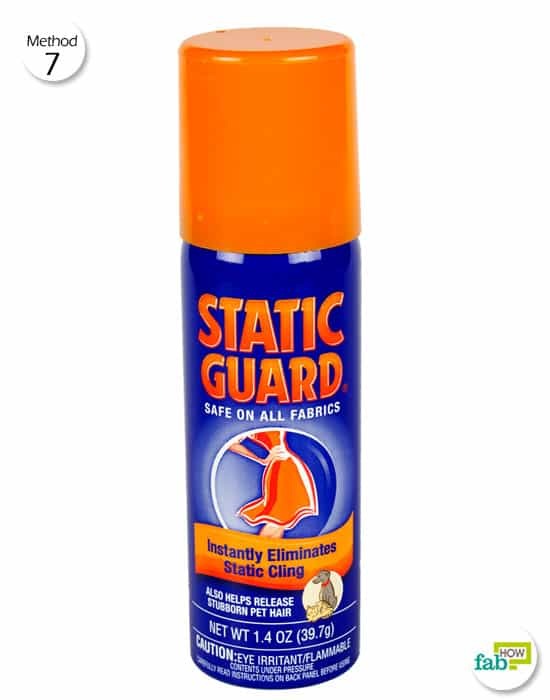 Spray your DIY anti-static spray directly on the static-charged clothing to get rid of static cling. 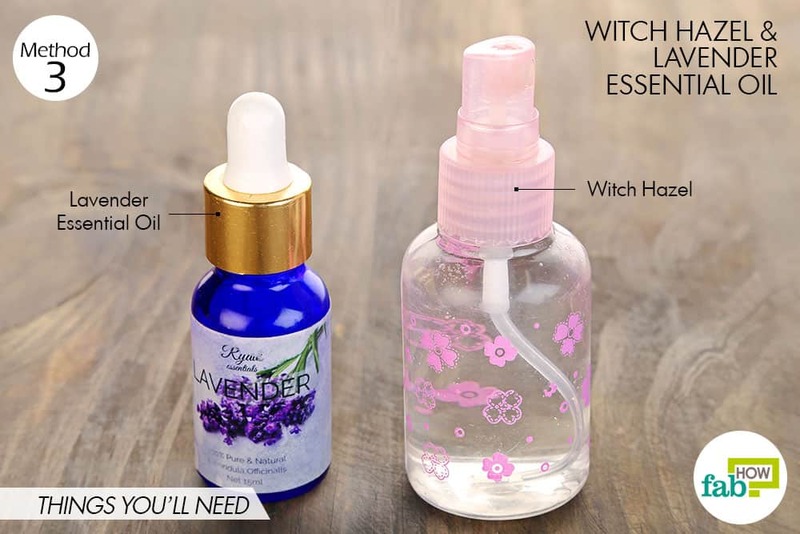 Pour ¼ cup of witch hazel into a spray bottle. 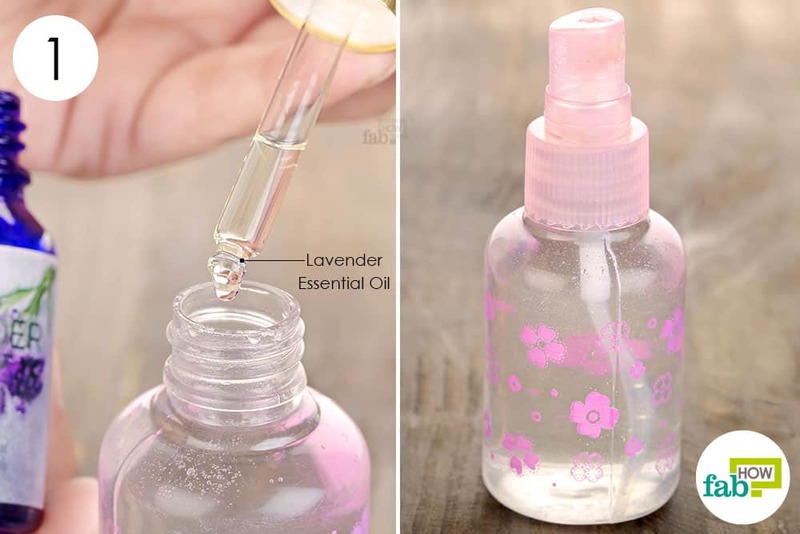 Add 1 or 2 drops of lavender essential oil to it. Put the cap on and shake it well. Your static spray is ready to use. Spray it on your garment to get rid of the static charge. 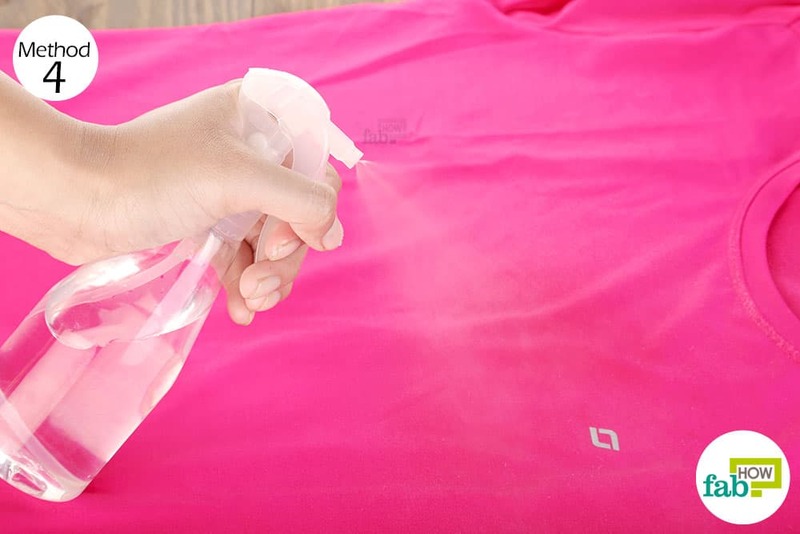 If you do not want to spray any kind of solution on your favorite clothing, plain water should do the trick, too. Simply dampening the area will get rid of static cling on clothes. 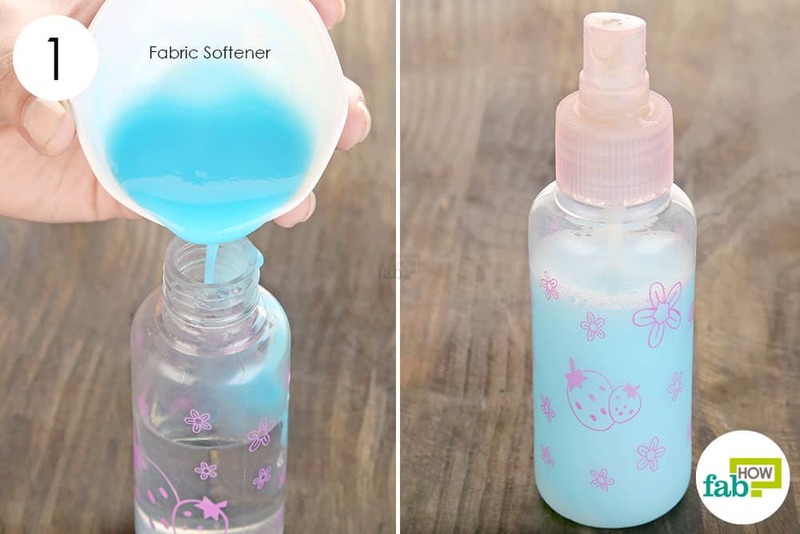 Holding a spray bottle with water at a distance, dampen the clothing with misty sprays of water. Don’t go overboard, as you want the clothing only barely damp and not dripping wet. If you are already wearing the clothing, just spray the area where the static is clinging to your body. 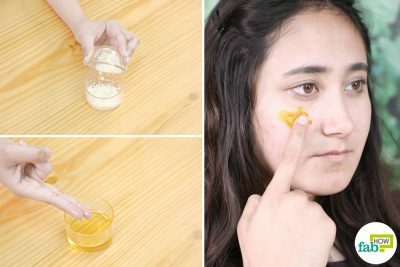 Since static is a result of friction, moisturizing your skin will prevent as well as get rid of the static charge on your skin and therefore keep the clothing from clinging. However, if your entire dress is statically charged, then this hack can be difficult to execute. Use it only if the static is limited to a certain area. Rub some body lotion over the areas of the skin where you are getting the static cling. Dryer sheets are the best go-to-option to get rid of static charge in laundered clothes. The sheets contain positively charged ions that neutralize the negative charge on the clothes causing the static cling. Dryer sheets can also be used as a quick fix to get rid of a static charge in your hair. Rub the dryer sheet on the clothes. If you’re already wearing the garment, pull the fabric away from your skin and rub the sheet on the underside of the garment. If you have extra money to shell out, you can buy a commercial anti-static spray. One popular choice is Static Guard. Spray it on the garment that you wish to make cling-free to eliminate the static instantly. Spray Static Guard on static-charged area of the garment. That’s it! Wearing a slip under your clothes can also help prevent static cling. Dry your natural and synthetic fabrics separately to prevent static due to the different fibers rubbing against each other. You can add a ball of aluminum foil to the washing machine. The metal will help neutralize the charges caused by friction between clothes. However, do not add the foil ball to the dryer. If you live in a dry climate, use a humidifier in your home to prevent electric charges from building up. You can also touch any metal surface that is in contact with the ground to get rid of static cling on clothes.